reifencom GmbH has positioned itself as the first tyre discounter in the tyre market, which offers service from one source. 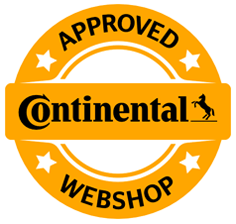 For this reason reifen.com - an association of two tyre dealer in Germany, which are both operating since 1989 – has established a dense network of branches. About 400 employees are currently working in the headquarters in Bielefeld and Hannover as well as in the stores. The stores offer additional services like tyre change, tyre fitting and storage. Also hubs cleaning, tyre gas filling, complete wheel wash, tyre insurance and financing. In addition, 2.500 fitting partner in Germany offer tyre change and fitting. 2.300 other fitting partner work outside of Germany and the service partner network is constantly growing - also in Denmark. dækekspert.dk offers brand tyres and rims of worldwide leading manufacturers for very advantageous prices. The large assortment includes all common tyre- and rim sizes as well as aluminum and steel complete wheels in all price and quality segments. We only sell quality-, brand- and premium tyres as new tyres. Our tyres are always of the highest quality and are from the current production of the manufacturers. According to approved motorcar clubs, tyres are considered new, if they are not older than two years. We set a high value on the quality, which also applies to our retreated tyres of German and European production. In addition to an extensive and competitive assortment of tyres, dækekspert.dk concentrates on a perfect functioning logistics system so that a high availability can be assured, even in times of high demand, such as the spring and autumn. Many of our products are constantly available on stock. The other ones will be provided as soon as possible. dækekspert.dk is available from Monday to Friday from 8 a.m. to 5 p.m. either by phone (+45 7873 7890) or via e-mail through the contact form. For the delivery of your tyres, rims or complete wheels you can choose to get them to your address or an alternative one.